Wedding Welcome Bags for out of town guests are a final detail usually passed onto someone in the family or wedding party and let's face it - haven't they already done enough?! 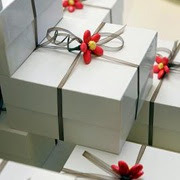 Researching, purchasing, packing and wrapping all just days before the wedding... what's a fabulous bride to do? So if you need help with your OOT Welcome Bags, definitely check them out! On January 4, 2010, OneWed will celebrate the 2nd annual "Matrimony Monday," the biggest day of the year for wedding planning. Nearly 35-40 percent of all proposals in the US happen during the winter holidays and the first day back at work after engagement season is when brides immediately jump online to start the planning process. To reward new brides-to-be, OneWed is hosting the ultimate giveaway for one lucky future bride: the "Off-the-Chart" Wedding Giveaway, with nearly $15,000 worth of wedding day essentials. 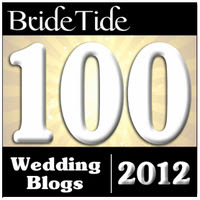 Couples can enter simply by creating their own Wedding Pre-Party and inviting friends and family to join. For every invitation successfully accepted by a guest, the couple receives an additional entry to win. Have you heard of the Wedding Wording Wizard : What does it do? * mini questionnaire about bridal style, personality, reception plans etc. 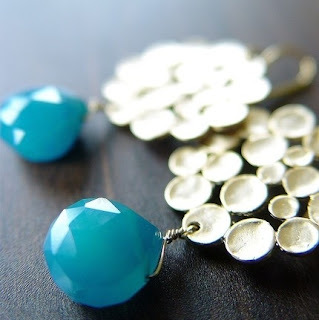 Sandra at Friedasophie Etsy store handcrafts 14 gold gemstone jewelry. She specialize in custom orders for bridesmaids and bridal jewelry. She can create any piece from my store in any matching color set for matching bridesmaids color themes. So check out FriedaSophie online store to see more! Five in 5 teaches you 5 facial exercises that can help to melt away signs of aging. This application is available on iTune and i've also downloaded it. I totally believe in facial exercises to help the elasticity of your skin as well as promote circulation into the area... Check it out! I am a singer/songwriter and have a passion for creating beautiful music specifically for weddings. 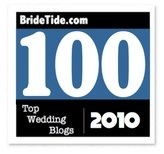 My songs can be used during the ceremony, rehearsal or reception. The new site will be launching next week 1/11/10. In the past two years I have had hits and purchases from all over the world, with very little market exposure. I would very much like to get the word out about my music and give Brides a great option for unique, fresh and beautiful music for their wedding and make their special day even more memorable. Please let me know if my business is something you would be interested in writing about on your blog or linking to. Thank you for your time and attention and for the add to your Links. 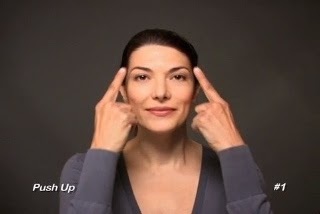 One of the best programs of muscle resistance facial exercises can be found at www.HappyFaceYoga.com. They have got a wonderful program, you should check it out and let your followers know about it! There's an easy to learn DVD available.